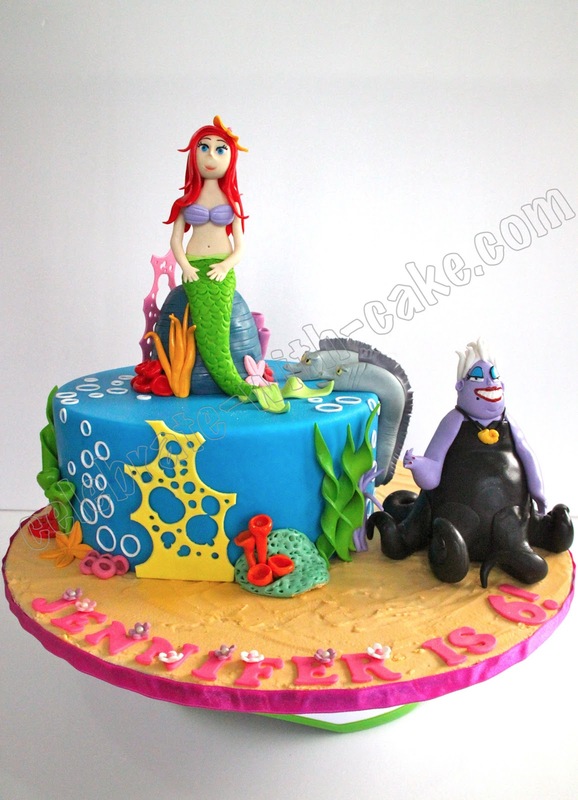 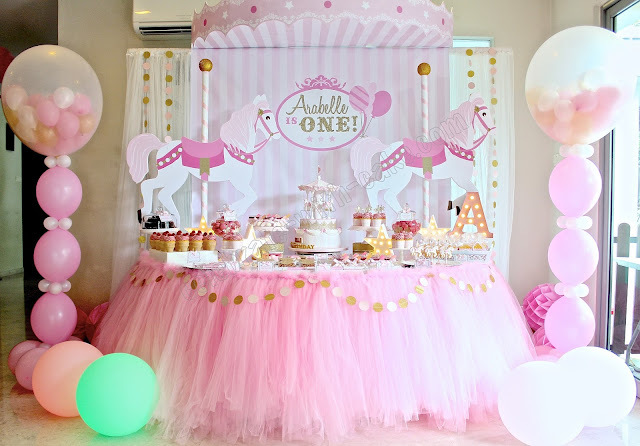 This was done for a repeat orderer, S, who got us to do a fairy themed cake for her little girl last year. 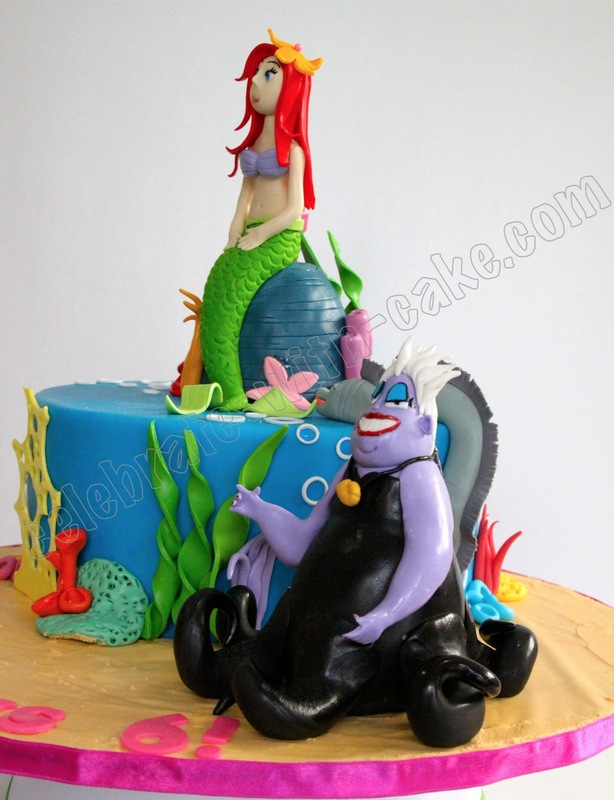 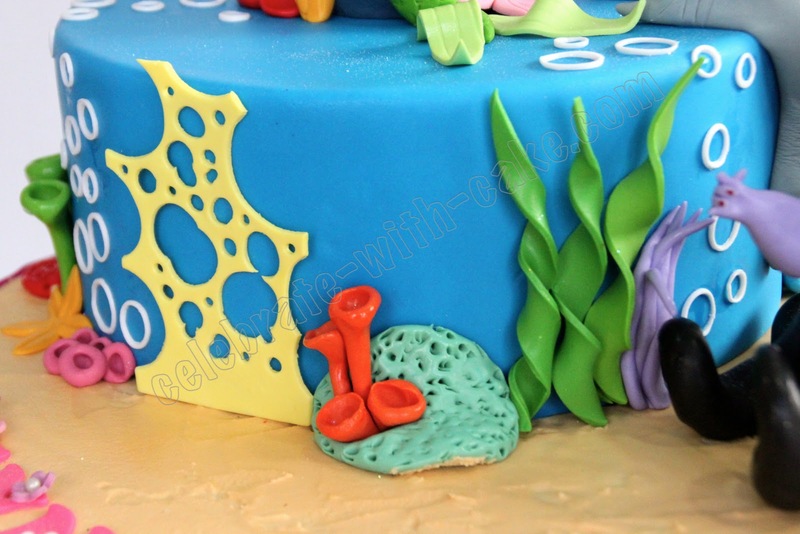 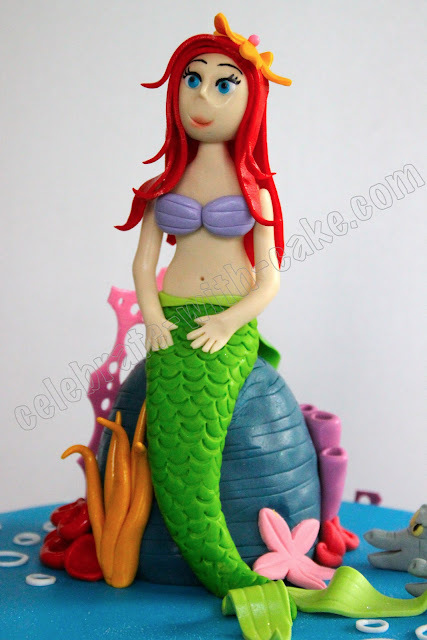 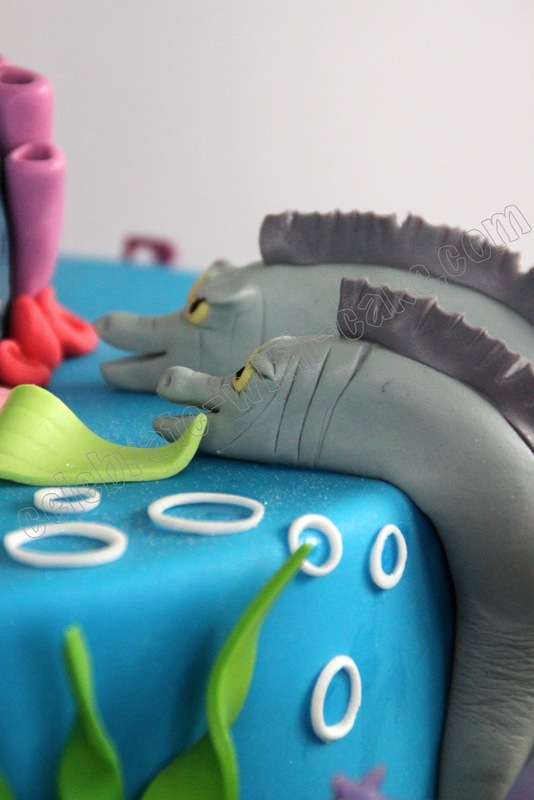 This time S got us to do a Mermaid themed cake for little birthday girl J's party at school! 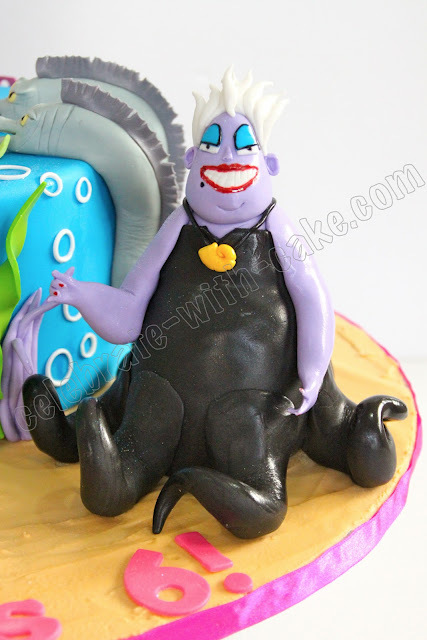 Mommy S and her little girl requested to have a figurine of both the goody and the baddie. So, hopefully i managed to capture both their expressions correctly!